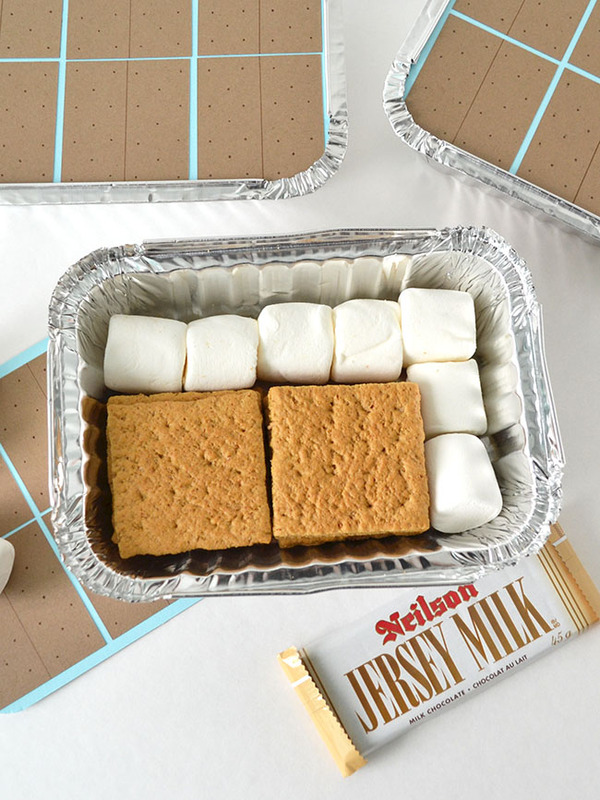 If you've ever been assigned to bring s'mores supplies on a camping trip, you'll know that having the right ratio of marshmallows, chocolate, and graham crackers on hand is key. Somehow I always seem to end up with a box of graham crackers left, and that's no fun at all! I've seen s'more kits popping up in grocery stores these days, but why buy overpriced ones when you can craft your own? 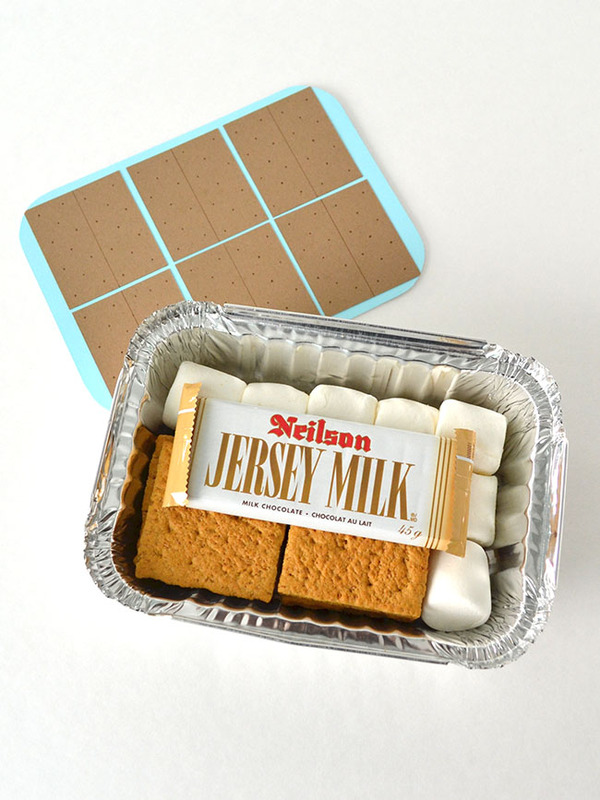 Today's DIY is an efficient way to avoid running out of s'mores ingredients around the fire! 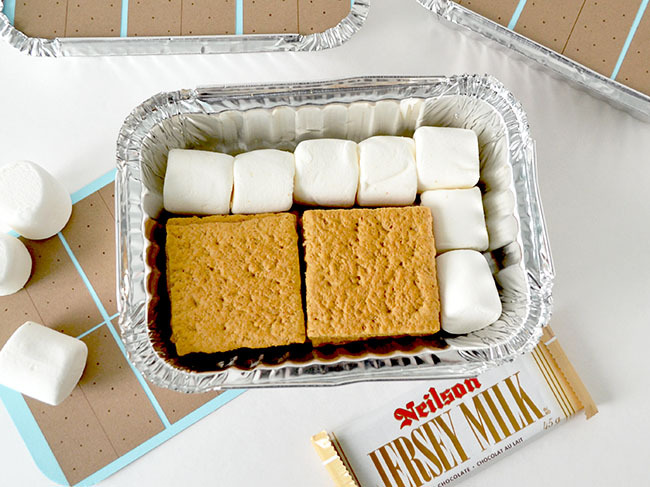 There are tons of ways you could choose to organize your boxes - one s'mores box allotted per night camping, or each camper gets their own box to ration as they please. Not a camping person, but still love s'mores? 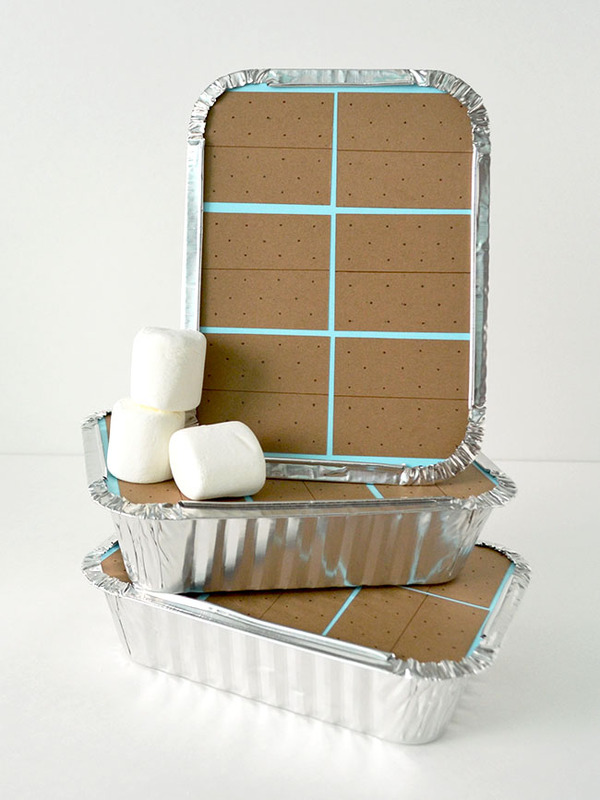 No worries, these s'mores boxes are summer barbecue friendly too! If you're hosting the gathering, have a stack of boxes prepared for dessert or as favours for the end of the night. 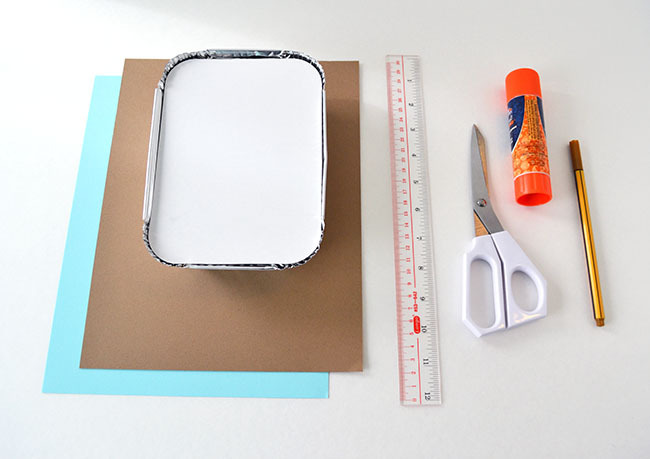 Supplies: card stock (brown and any other colour), tin foil to-go box with lid (available at the dollar store), ruler, scissors, glue stick, brown marker. 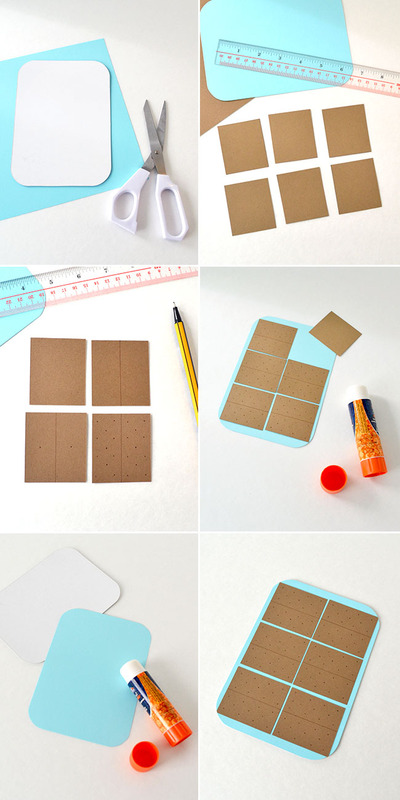 Step 1: Trace the lid of the box onto the non-brown card stock and cut it out. Step 2: Measure the lid and determine the measurements of the graham crackers. You'll want to leave a little bit of space between each cracker so they stand out. In my case, they were about 1 3/4" by 2". Step 3: Use your brown marker to draw graham cracker patterns on the card stock. I only used the ruler to draw the centre line and to mark the middle dot - from there you can easily eyeball the rest of the dots. Step 4: Glue the graham crackers onto the card stock. Step 5: Glue the card stock onto the non-shiny side of the lid. Step 6: Repeat as necessary! And don't forget the best part - filling the boxes! These ones held enough for 6 s'mores each, plus 1 extra marshmallow to replace the inevitable burnt marshmallow. This post is part 3 of 5 of my S'mores Week series. 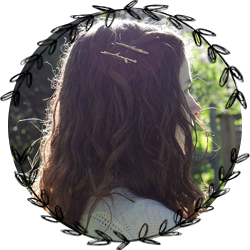 My name is Kathleen and Snowdrop & Company is my collection of do-it-yourself crafts for parties, holidays, gifting, and the home. I love repurposing and reinventing the ordinary and think everyday is worth celebrating.